Caitlin Canty doesn’t get stage fright. Behind her guitar, the Proctor-born singer-songwriter is all confidence and grace — comfortable in her own skin and her own voice. Fearlessness is a quality that serves a professional musician well. The music industry has changed; the golden ticket of a record deal is harder to come by these days. “You’re entirely responsible for your own success,” Canty says. 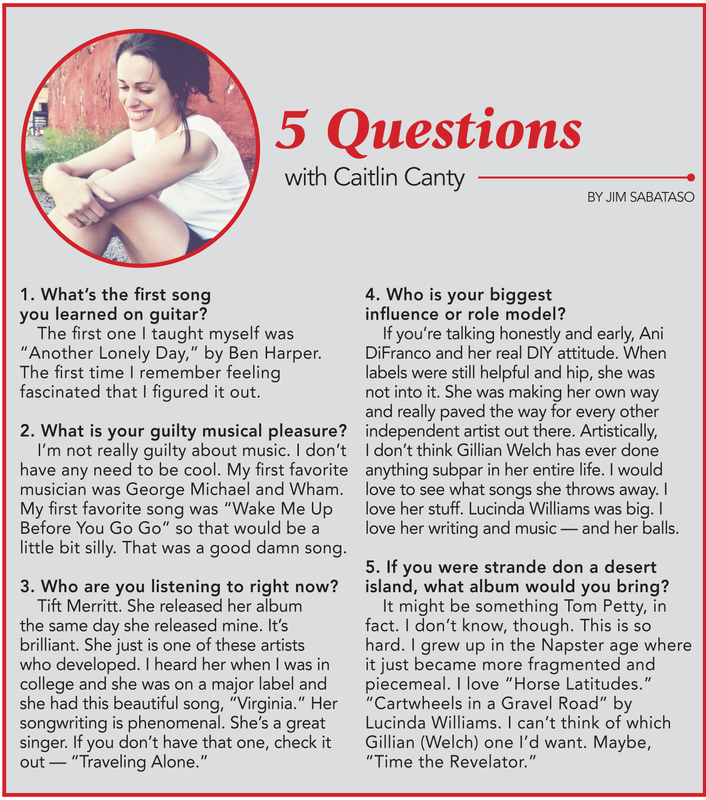 Three years ago, Canty made the decision to commit herself to music full-time. She compares it to starting a new job. It’s a surprisingly relaxed analogy for what most would characterize as a brave leap into the unknown. For Canty, it felt right. Now, at 31, Canty is hard at work for herself — a one-woman band and a one-woman business. She admits it’s exhausting at times, but she can’t imagine what else she’d be doing. “Nothing else makes sense,” she says. Now more than ever, the music industry is full of uncertainty. It’s also wide open. And while modern recording technology and social media have made it easier for musicians to reach their audience, that low barrier of entry is a mixed blessing — there’s a lot of noise out there. But authenticity always stands out, and Canty has that in spades. Her songs are honest — confessional, at times — and her persona is not contrived. “I’m annoyingly myself,” she says. She notes that folk music in its truest form is an attempt to “get to something authentic,” to make something that resonates. Canty is also pragmatic. She tempers her expectations and moves forward intentionally. Growing up, Canty was drawn to music — singing in the school chorus and playing trombone in the band. At 13, Canty wrote her first song with a friend. In 12th grade, she received an acoustic guitar for Christmas. She took some lessons from Proctor High School music teacher Aaron Audet — “She would pay me in chocolate cookie bars her mom made me,” he recalls. At Williams College, Canty majored in biology. As part of the school curriculum, students were required to spend a mini-semester each January taking a class outside their major. Canty chose Beginning Songwriting, which culminated in a performance. 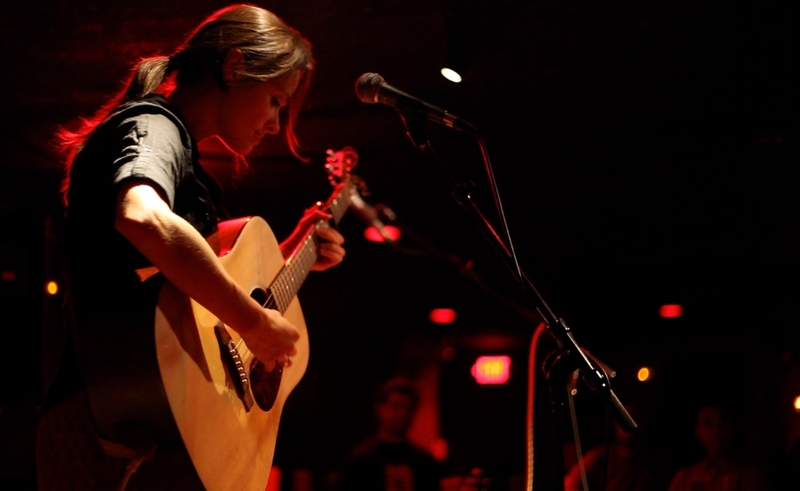 She took advanced songwriting courses during subsequent January semesters, recording an EP as a junior. She recorded her first full album during her senior year. Around the same time, she began performing publicly. When back home in Vermont, she would sit in with Audet, cutting her teeth with his moveable feast of up-and-coming musicians at Rutland bars. Canty says she is grateful to Audet for his support and guidance through the years. After college, Canty moved to Manhattan. A life spent in Proctor and Western Massachusetts had left her craving something a bit less rural. She got a job with Artists Den, an innovative soup-to-nuts concert promotion company that has since grown into a popular television and web series. (Canty was their first employee.) She credits the experience with giving her a crash course on the professional music world. “I learned a ton … and met a lot of established musicians,” she says. Falling back on her bio degree, Canty took a job as a sustainability consultant. By day, she was wearing a suit and working in a cubicle. 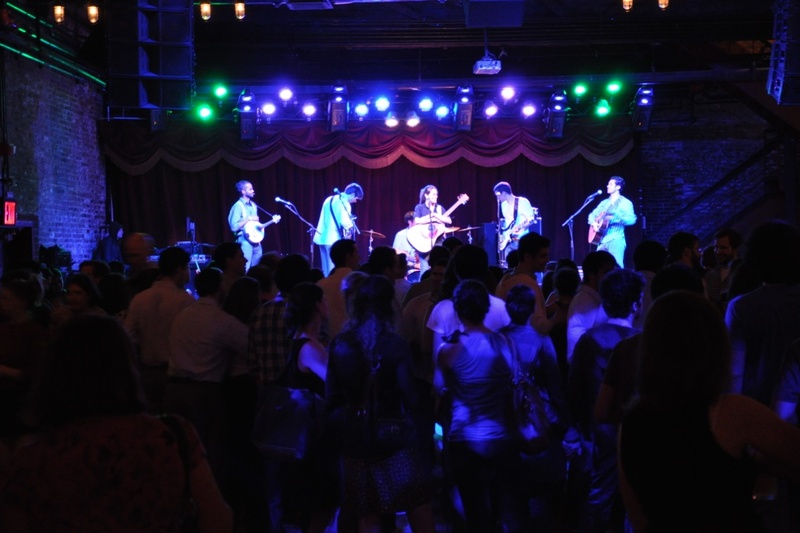 By night, she was gigging at small venues around Manhattan and Brooklyn. The work was good, but unfulfilling — or at least not fulfilling in the way that music was for her. Eventually, her desire to play pulled her away from her day job. “I couldn’t think of not doing music anymore,” she says. “I thought I’d die.” She acknowledges the hyperbole, but it doesn’t diminish the sentiment. The lights are low inside Rutland’s Merchants Hall. It’s 5:30 p.m. on a Saturday. Sound check. Canty is in the middle of a three-night run of shows in Vermont that also includes stops in Burlington and Montpelier. She and guitarist/cellist Harris Paseltiner run through songs, stopping and starting to adjust the levels. 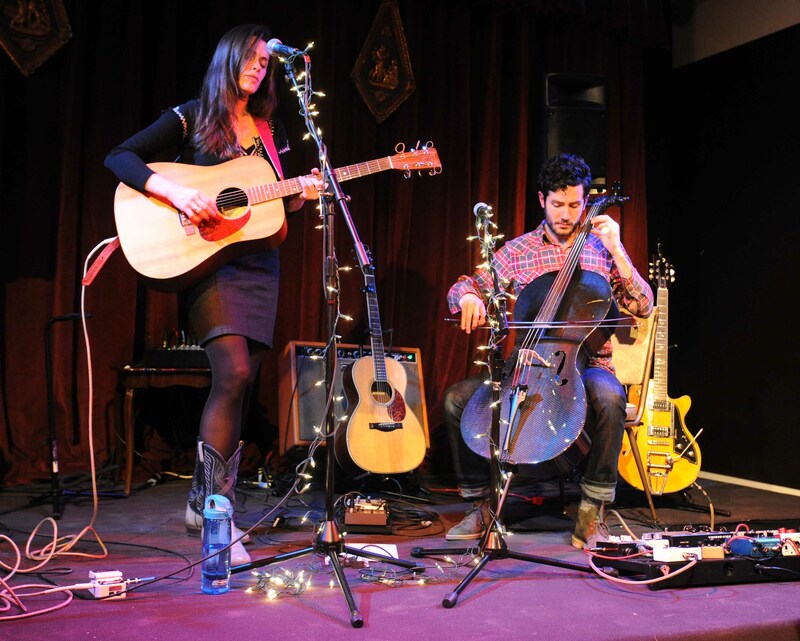 Paseltiner is a member of Darlingside, a string-rock quintet of fellow Williams grads, that often tours with Canty. The band and Canty share a close, familial bond — and a mutual respect. “Caitlin has incredible sensibilities,” Paseltiner says. He notes the tendency for songwriters to make “noise,” but says that Canty stands out for her directness and keen understanding of space. Onstage, Canty and Paseltiner cease fiddling with dials and settle into a cover of Billy Bragg & Wilco’s “California Stars.” In Canty’s hands, the Woody Guthrie-penned lyrics are fragile and fleeting; Paseltiner’s crisp guitar fills, sweet and lonesome. By 7 p.m., Merchants Hall is standing room only. Canty’s songs linger in the air as she floats through the set, spotlighting selections from her latest album, “Golden Hour,” released in October 2012 and funded primarily through a Kickstarter campaign — another DIY reality of the modern professional musician. At the close of the show, Canty graciously greets family, friends and fans at the back of the venue. It’s a hometown show; she knows most of the crowd by name and takes time to acknowledge everyone who stops to chat. Three days before her Merchants Hall show, Canty is at ease as she sips a Switchback and sinks into her seat at Two Sheas. She says city living is starting to lose its luster. “I can’t live like I’m living forever,” she says. It’s not a declaration of defeat; rather, it is an acknowledgment of the need to make her music career sustainable. Between marriage and the prospect of a family in coming years, continuing to make music professionally will be a balancing act. Yet it’s a challenge Canty seems ready to face head-on. Music is a part of her. It’s a passion she needs to not only indulge but also share, which is what she intends to keep on doing. “It’s the most selfish and selfless thing you can do,” she says.